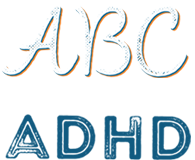 Even though ADHD medication can significantly help, it’s not necessarily easy to get the right medication and get it to work smoothly for a kid. Here’s how it happened for me. It took trying a few different ADHD meds and some scary fails before finding the best fit. Looking back, I realize we could have come up with a medication plan to have someone watch over me for the nasty side effects I went through — something I would definitely recommend to anyone getting used to new meds. I started taking ADHD medication in about Grade 7. The first one we tried made me feel weird and very tired. I didn’t know it was the pills. Maybe I was too young or maybe because it was my first time taking medication I just didn’t know what to expect. That summer I went to a leadership day-camp with the YMCA and before 10:00am I was sound asleep on the floor. The camp leaders waited until the end of the day then told my mom that I was bad and that she shouldn’t bring me back the next day. The same thing happened in class when September came. I would get so bored and tired that I just had to lay down. One teacher said I was “being a **** disturber” and many just sent me to the principals office. All in all I was sent there 24 times as I was trying to get used to the first meds!! It made the other kids laugh at me and I missed out on a lot of learning time. But the consequences could have been much more serious. It scares me to think back on other people’s clueless reactions — what if I had been having a medical emergency? But for the most part they didn’t know I was trying out an ADHD medication… nowadays I don’t let that kind of thing happen. I’m not shy to let anyone know I have ADHD. After that initial medication, my doctor switched meds for me and on the second med I began to have severe recurring headaches, sick-feeling stomachaches, and even became agitated and pushy once when my dose was too high. Let me tell you, it can be a nasty ride getting the right meds. Maybe it will be different for some people, but it’s better to have some supports in place while you’re going through it. My current ADHD medication works perfectly for me right now so I’m happy I found something that helps me instead of hurts me. I still think it’s really important to talk to someone at least once a week to let them know how I’m doing with the meds in case there’s something concerning that I don’t realize is there. And while we’re talking about ADHD medications, I’ll add one last thing. A lot of people don’t realize that, even on meds, you have symptoms of your ADHD to deal with — like being forgetful or disorganized. A lot of the strategies for school and life that we discuss on this site will apply whether you’re using meds or not.